WELCOME to the Forty-Fifth issue of the Bay City Post! - Keeping you updated on the best city on the grid. I like March. This is when you start to see Winter’s icy grip recede at last, and Spring being to once again take hold. It’s a time, for me, of promise and hope. It’s when we start our Spring Cleaning, and in the virtual, the same hold true. 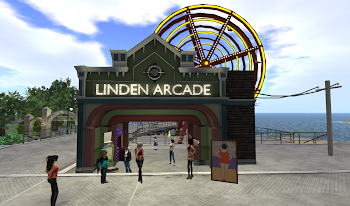 Some are still snowbound, and Second Life is where they are getting some extra time to attend to their lands – or for some, this has been time to sort inventory in the wake of the Arcade gacha onslaught. As I live in a warm clime in first life, I’ll let you guess which of those two camps is mine. Our Fair City has recently seen a certain amount of undesired drama, which I will let Kinnaird talk about below. She’s got a Guest Editorial down below. While I think some of the issues have subsided -- for now -- this is still some good reading. The Big News this month? 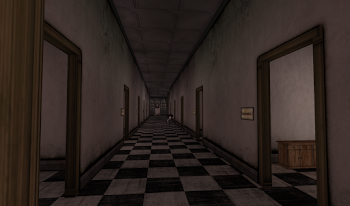 Uccie has a big interview with the Head Moletivator himself, Michael Linden. 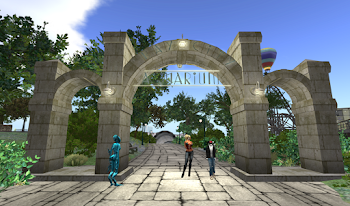 Learn a bit of Bay City history, and find out what he’s enjoying lately in our world! Oh, and one last thing: my humble thanks to all who put together and came out for my 9th rez day recently. It meant a lot to me, and you have my thanks! All that... and the best fish wrap available this side of the Ahern Welcome Area! 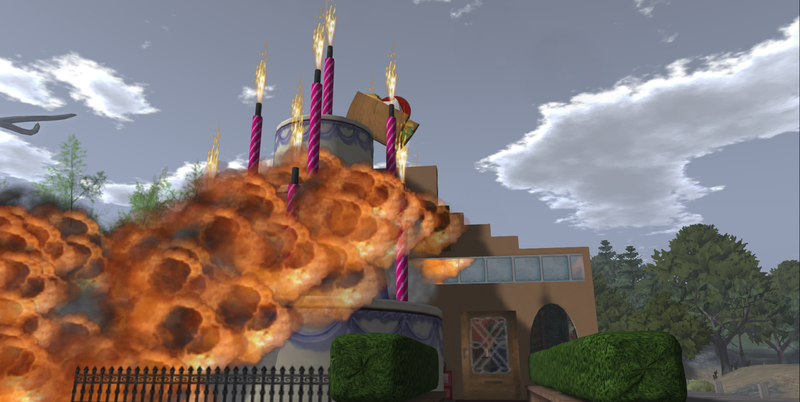 Sylvia Tamalyn's Rez Day got a bit out of hand, leading to an explosive situation at the Toxic Taco! ...just how many candles is it this time? For a week or so now, in preparation for writing my police and fire blotter for The Post, I’ve gone through my normal routine of checking the feed for madness and mayhem, going through Bay City chat excerpts, adding in tidbits that people IM me throughout the month. But the recent issues surrounding police role-play (RP) in our fair city have been weighing on my mind. So, rather than my usual reporting of things like Cupid being arrested just prior to Valentine’s Day, or watching paint dry on the pumping station, or newlyweds joy-riding on the lollercoaster before ending up in the Bay, I’ll tell you what’s been on my mind regarding police RP. Almost exactly a year ago, I put up a police station in Edgartown. Ever Dreamscape and I had hatched some ideas about Etv episodes, and in an offhand remark, I mentioned that we needed somewhere to stage some arrests. 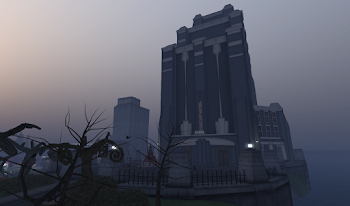 Pygar Bu designed and built the station for me, based on one from 1950’s Chicago, the era of Bay City. He even added in a secret passageway to the trolley so Ever could break out of jail. A few weeks later, she was gone, before she’d ever had the chance to stage her great escape on camera. Soon after that, several individuals started role-playing police with regularity in the city, and in the fall, there was a Bay City Alliance meeting at my station to discuss the history of police RP in Bay City in light of some current issues. There was a lot of dissent, mostly regarding staying within the vintage era of the City, and in the end, what we came away with was “except on private parcels, no police RP for now.” Despite that, more stations cropped up over time, and the frequency of the RP citywide increased. 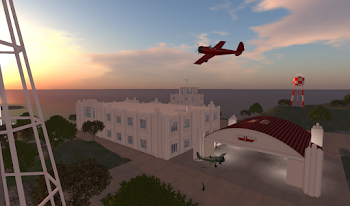 Then, this past week, there were reports of Gridwide Airways dropping service to Hau Koda based on alleged harassment by one of our RP officers. 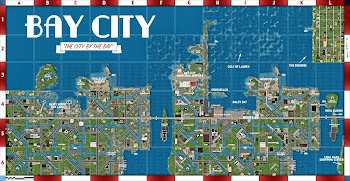 Bay City is not Harrison, or any other similar urban region set up for RP. It is not a private region where anyone who enters it does so knowing that it is strictly a RP region, and you either agree to RP throughout, or must wear an Out of Character tag while visiting. There is a huge difference between staging scenes on your own property and patrolling around Bay City in a vehicle that marks you as representing the city in some official capacity. Even if you don’t interact while on patrol, the simple act of driving around in what looks like official capacity forces your RP on people who did not consent to it. IRL, I have police officers in my immediate family and close circle of friends. I respect those who have chosen that profession, and the work that they do in their communities. 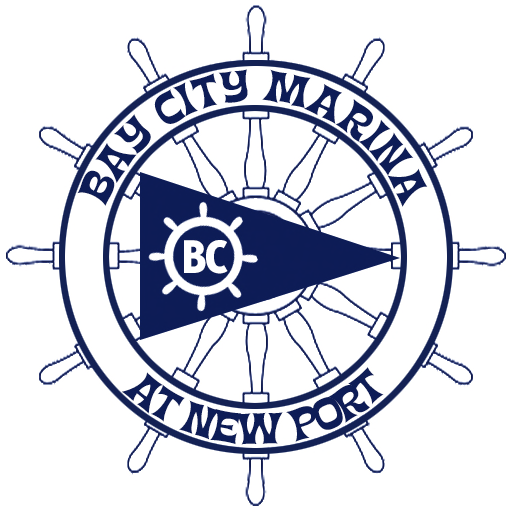 I know most of the avatars who RP that profession in Bay City as well, and think that they are good people who love our City. I can even overlook the non-vintage police buildings and vehicles that they use. *wink* What I can’t overlook is the fact that people are being pulled into police RP without their consent. It’s enough when there have been complaints within the city about the RP, but this has now gone beyond the city limits. RP on private parcels, with consent of all involved? I’m all for it, and will even offer to fly in the Etv helicopter to film it. But for citywide patrols and policing, that consent has not been given. We need to respect all of our citizens, including the vast majority who have not been given the option to “opt out”. There IS no officially sanctioned police force in Bay City, in any configuration. And that’s the bottom, thin blue, line. 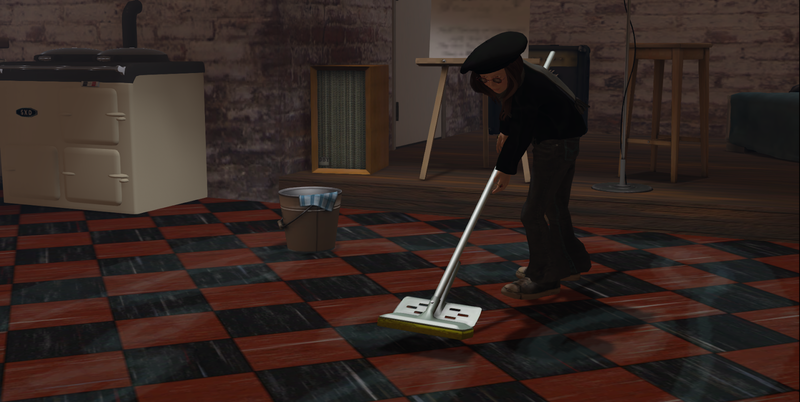 Beatniks leave mess at The Pen! Beatniks *clean up* mess at The Pen.